The European Investment Bank – EIB is the EU’s bank. Jointly owned by the 27 EU countries and representing the interests of the European Union Member States. It’s the world’s largest multilateral bank mostly directed at the internal European market. EIF Guaranteed SME Loans are very sought after, as many start-up companies find it difficult to obtain capital without sufficient collateral. 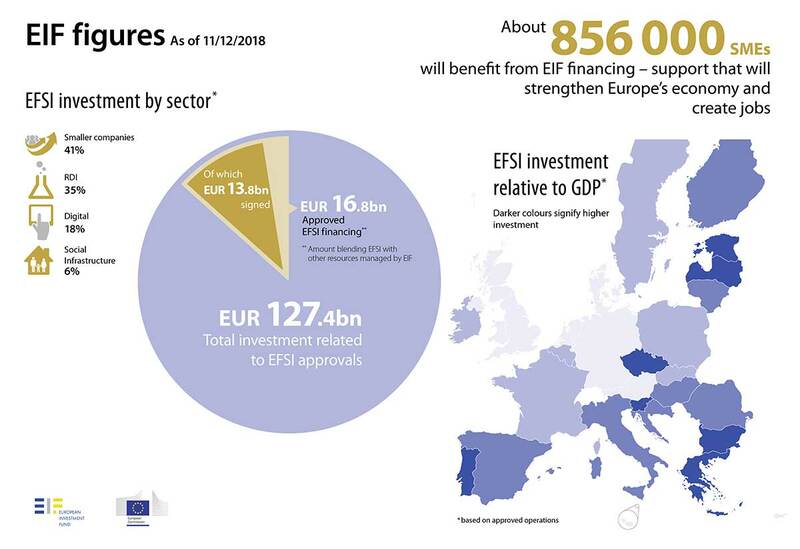 I recent times EIF have expanded and extended their commitments signing agreements in Denmark,Norway,Sweden,Finland and Iceland to provide multi-million-euro guarantees for loans to small and medium-sized enterprises (SMEs). the Swedish bank Marginalen Bank launches EU-backed micro-finance business loans up to 250.000 sek. Innovation Norway and The European Investment Fund (EIF) signed an extension agreement 15 June 2018 to provide NOK 375 million (EUR 42 million) of guarantees for loans to small and medium-sized enterprises (SMEs) in Norway. Find and read more press releases at EIF.org.